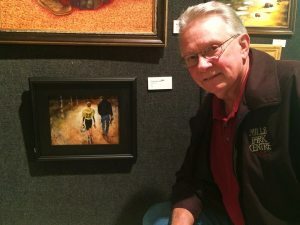 Graduating with a Bachelor of Fine Arts Degree from Missouri Southern State University in 1972 was the beginning of a thirty-five year hiatus for Neosho, Missouri native John Mills. 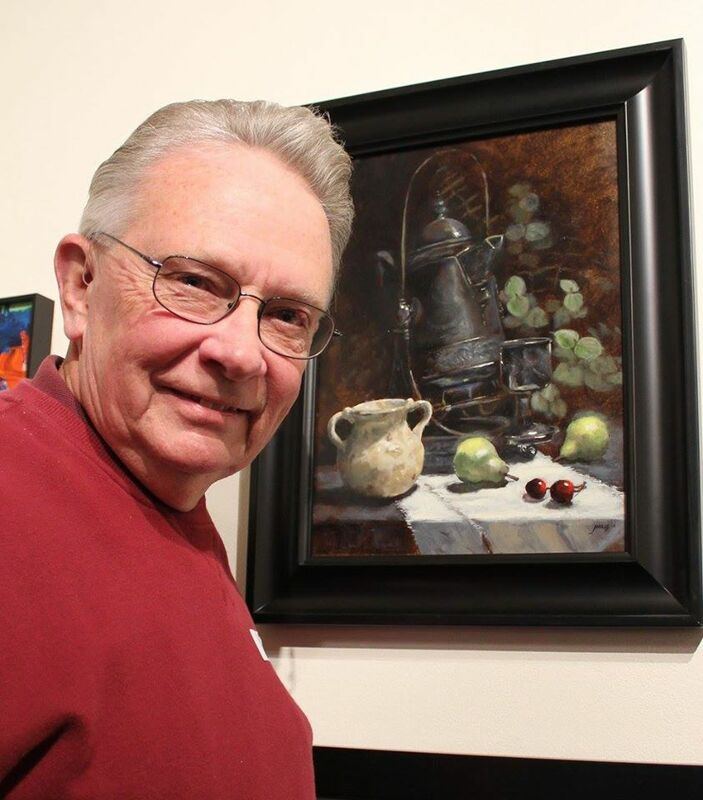 A successful career in the family’s retail business sidelined his first love… his art. Artistic opportunities arose in the marketing and merchandising of his products and advertising his business but the feel of the paint brush in his hand became unfamiliar. As the opportunities of retirement have presented themselves, John has dedicated time to reacquaint himself with painting and practicing techniques. He has studied under contemporaries Jeff Legg, Jerry Ellis, John Lasater, Jason Sacran, Billyo O’Donnell, and Larry Clingman. Currently his concentrates in painting in oils with a variety of subjects ranging from still life to landscape to portraiture. Painting landscapes on location, “en plein air”, is a especially exciting genre. During spring and fall he enjoys the challenge to capture the fleeting light and ever changing shapes outdoors as the day progresses. In the studio, he enjoys the creative challenges when the elements of light and composition can be manipulated to enhance the subject matter. In 2011, John won awards at the ArtCentral Membership Show and the Maple Leaf Festival Paint-Out both held in Carthage, MO. 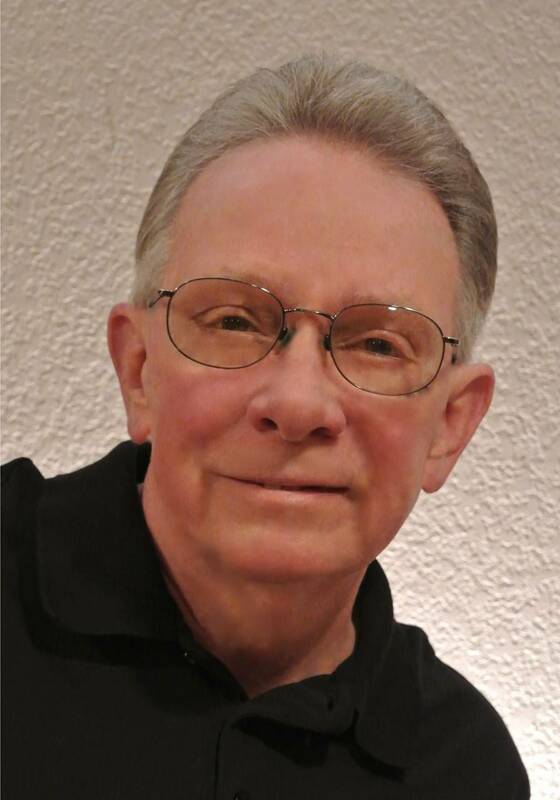 In 2014, he was selected a “Favorite Local Artist” in the Neosho Daily News Reader’s Choice Awards. 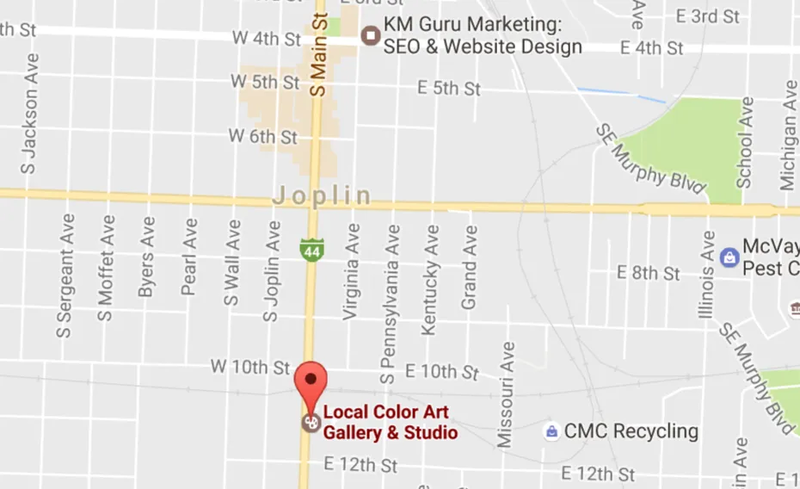 He currently exhibits at Local Color Gallery in Joplin and Cherry’s Art Emporium in Carthage. Requests for commissions are welcome.